Active in surgical practice since 1979 and presently a Senior Consultant Gastro Surgeon at Mehta Hospital, Ahmedabad (India). In 1987, Mehta Hospital was a first of its kind medium super-specialty hospital solely dedicated to Gastro-Intestinal problems in Gujarat. The hospital was set up with state of the art equipment and was also home to the first dedicated Intensive Care Unit (ICU) facility in a private set-up in Gujarat. Former Head of Department of Surgical Gastroenterology at Sheth V.S. General Hospital, Ahmedabad. Former Professor of Gastro Surgery at Smt. N.H.L. Municipal Medical College, Sheth K.M. School of Post Graduate Medicine & Research, Ahmedabad. During this time, trained numerous surgeons and devoted over 30 years giving honorary service and treatment to a cross-section of the society, especially poor and needy patients in Gujarat. Worked for 3 years (2004-2006) as an Honorary Gastro Surgeon, Armed Forces Medical Services, India (AFMS) at national level and served large number of patients from the Indian Army, Navy and Air Force. President of International Hepato-Pancreatic Biliary Association (IHPBA), India Chapter for the year 2015. Currently also operating as a Senior Consultant Gastro Surgeon in Ahmedabad at SAL Hospital, Shalby Hospital, HCG Hospital and Sterling Hospital and regularly gives lectures at venues all over India and the world. Worked in the U.K. for 2 years after completion of MS (Master of Surgery) and been a visiting fellow at many hospitals in India as well as across the world. FICS (Fellow of International College of Surgeons) and FACG (Fellow of American College of Gastroenterology) from U.S.A.
Pioneer of Surgical Gastroenterology and Hepato-Pancreato Biliary Surgeries in Gujarat. Started Gastroscopy in 1979 in Gujarat for the first time. Started Colonoscopy in 1980 in Gujarat for the first time. Started Diagnostic Laparoscopy in 1981 in Gujarat for the first time. Started ERCP in Gujarat in 1982 after extensive training in Tokyo, Japan and for a long time was the only doctor doing ERCP in the states of Gujarat, Rajasthan and Madhya Pradesh. Started Therapeutic Laparoscopy in the early 1990s in Gujarat. Trained a large number of Surgeons over a number of years. Recognized as the official Surgical Gastroenterology Teacher from Gujarat University since 1988. Pioneer of Surgical Fiber-Optic Gastroenterology in Gujarat. Started Gastroscopy for the first time in Gujarat in 1979. Started Colonoscopy for the first time in Gujarat in 1980. Started Diagnostic Laparoscopy for the first time in Gujarat in 1981. Started Therapeutic Laparoscopy for the first time in Gujarat in the early 1990s. Started ERCP in 1982 after extensive training in Tokyo, Japan and for a long time was the only doctor doing ERCP in the states of Gujarat, Rajasthan and Madhya Pradesh. Pioneered procedures with advanced therapeutic video-endoscope under image intensifier in Gujarat. Recognized as an official Surgical Gastroenterology Teacher from Gujarat University since 1988. Gold Medalist having an outstanding educational career. Two Gold Medals in MS (Master of Surgery) Examinations at Gujarat University. Gold Medal for the Best Outgoing Student of the Year at Smt. N.H.L. Municipal Medical College in 1970 for outstanding all-round achievements. Ranked First in Gujarat University with Gold Medal in 1st MBBS. Ranked Second in Gujarat University in 2nd MBBS. Ranked Third in Gujarat University with Gold Medal in Surgery in 3rd MBBS. Ranked Seventh in Gujarat State in SSC Board Examinations. Commander in Scouts and NCC at school and college level. Organising Secretary for the Conference of Indian Society of Gastroenterology in 1988. This conference achieved a rare distinction at the time by securing participation of 12 International faculty members who performed a live workshop of Advanced Therapeutic Endoscopy for the benefit of all the participating doctors, with old Endoscopes having big mounted cameras and screen projections. Organising Secretary of Association of Surgeons of India Conference (ASICON) 1998 at Ahmedabad, which is one of the most prestigious conferences for surgeons in India. The conference attracted more than 5,000 surgeons over five days and was widely acknowledged as very memorable because of its cutting edge scientific workshops, coupled with very well acclaimed social activities, arrangements and organisation. Governing Council member of Association of Surgeons (ASI) from 1998 to 2003. ASI is a national body comprising of over 10,000 surgeons and organizes numerous academic activities across India. Organising Chairman for International Hepato-Pancreato Biliary Association (IHPBA), Indian Chapter's annual meeting at Ahmedabad in 2005. This was a very successful conference with over 1000 surgeons in attendance. Chief Patron for the ASICON 2013 at Ahmedabad. The conference was attended by over 6,500 surgeons and was widely acclaimed by the surgical fraternity. As President of Indian Chapter of International Hepato-Pancreato Biliary Association (IHPBA) in 2015, made active efforts to develop domain penetration in interior parts of India by organizing programmes in tier-two cities like Patna, Pune, Indore, Jammu, Srinagar, Aurangabad, Bhopal, Baroda, Ludhiana and organized various CMEs on HPB issues. Associated with the activities of Association of Surgeons (ASI) since 1975 and been a regular participant at the annual conferences organized by ASI, IHPBA and Laparoscopy Association, including conducting in workshops, giving lectures and performing demonstrative surgery. •	In 1988, started Gall Bladder Stone Lithotripsy for the first time in India and SAARC Countries and serviced patients from all over the region. •	In 1982, started one of the first Surgical Gastroenterology Units in India at the top medical college (Sheth V.S. General Hospital) in Ahmedabad, Gujarat. At the time, there were only four such units all over the country. 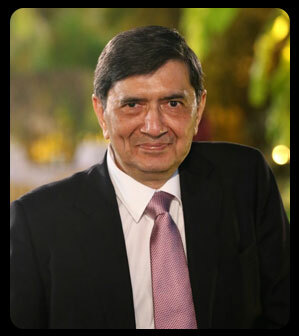 •	Chairman and Managing Director of Mehta Hospitals, Ahmedabad. •	Member of the Board of Directors of the Times Group for 18 years. •	President, Junior Chamber in Ahmedabad. •	President, Lions Club in Ahmedabad. •	Actively engaged in Social Service for over three decades by regularly conducting free medical camps across interior parts of Gujarat to create awareness of endoscopic diagnosis and treatment in association with local medical associations and other local organizations (covering Junagadh, Rajkot, Morbi, Dhoraji, Porbandar, Mehsana, Deesa, Palanpur, Surat, Vapi, Valsad, Gandhidham, Kandala and Bhuj). •	In 1964-1965, while in final year of high school, selected by the American Field Service (AFS) as an exchange student to spend one year of school in U.S.A. at Rochester Minnesota. This was unprecedented at the time and a unique honor, giving fantastic opportunity to spread the Indian culture and benefit from the experience in return. •	In 1968, selected as the only Indian Chaperone to travel to U.S.A. to bring 50 American students to India. In this role, conducted several orientation classes over seven days while on a ship from New York to Rotterdam, hosted one American student from California at home and organized a major programmed for all students in Delhi, including meetings with the President of India, Prime Minister Indira Gandhi at her residence and Deputy Prime Minister Moraraji Desai at his residence. •	Active student member of the Experiment in International Living Programme (1969-70). As part of this, took initiative as group leader for students from Ahmedabad and organized various visits to Chandigarh, Shimla, Delhi and other parts of north India. •	Performed one of the largest series of operated cases of Portal Hypertension, Preferring Splenectomy and Leinorenal Shunt in a mainly non-cirrhotic liver. •	Special interest and vast experience in Chronic Pancreatitis, Oesophageal Dilatation, Self-Expanding Metal Prosthesis for Malignant Growth, Dilatation and/or Surgery for Achalasia Cardia and Malignancy of Oesophagus requiring radical Surgery and Trans-Hiatal Total Oesophagectomy. •	Done a large series of Open Cholecystectomies, Laparoscopic Cholecystectomies and experienced in doing many cases for Biliary Tract injury management. •	Specializes in Pancreatic-Biliary Tract Malignancy requiring Radical Surgery. •	Expert on therapeutic aspects of ERCP, including removal of CBD Stones, Stenting and Naso Biliary Drainage for Cholangitis and Pancreatic problems. •	Experienced in many operated cases of Ulcerative Colitis. •	Experienced in using Staplers for G.I. Tract Anastomosis in cases since 1984. •	Experienced in conducting and concluding a large number of Phase III and Phase IV Clinical Trials as a Principal Investigator, both locally as well as globally.